Just a reminder that my FIVE LITTLE WORKSHOPS registration closes tomorrow! Click HERE for class descriptions and registration info. 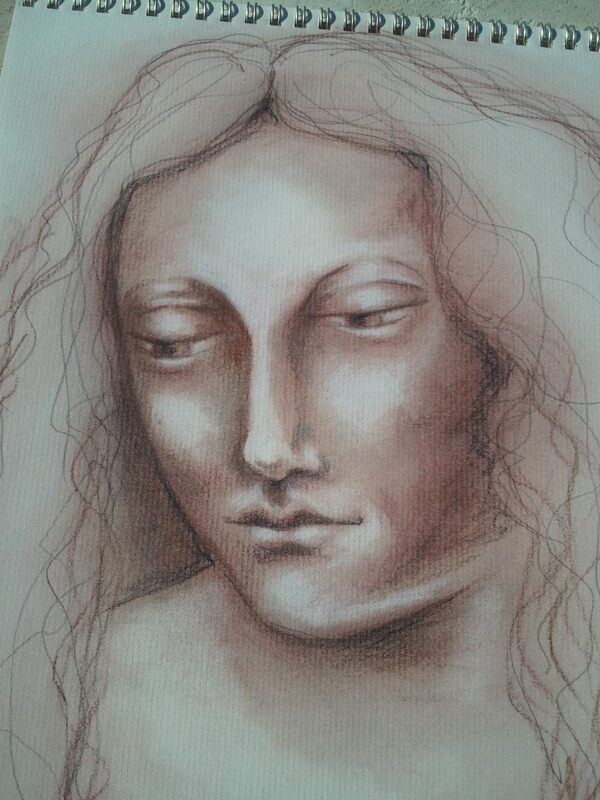 Revisiting my At Face Value workshop has inspired me to get out my Conte Crayons again. 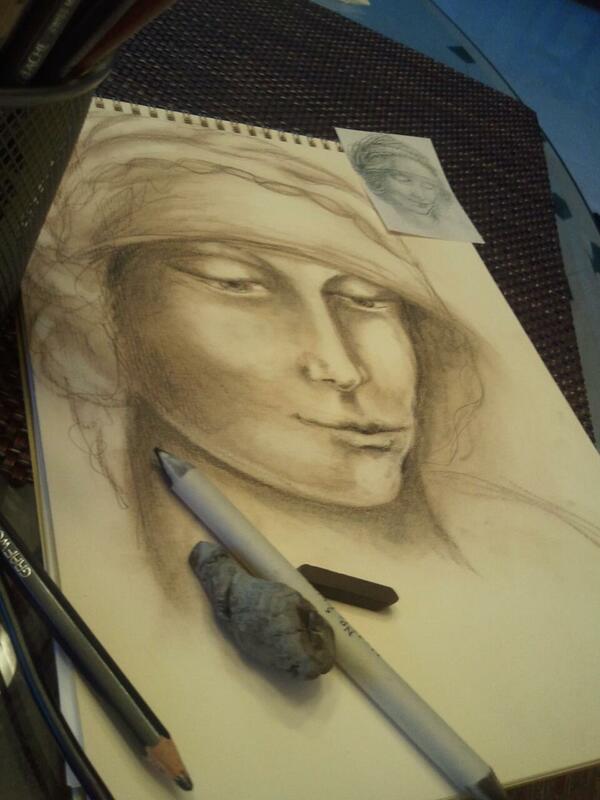 With a little Da Vinci for inspiration, it’s very satisfying play time. Hope to see you in these last workshops for 2011!